Russia’s president has it is wrong for political figures to use anti-corruption campaigns for political advantage rather than actually try to do something about it, while noting that his administration and allies have always been staunchly anti-corruption. 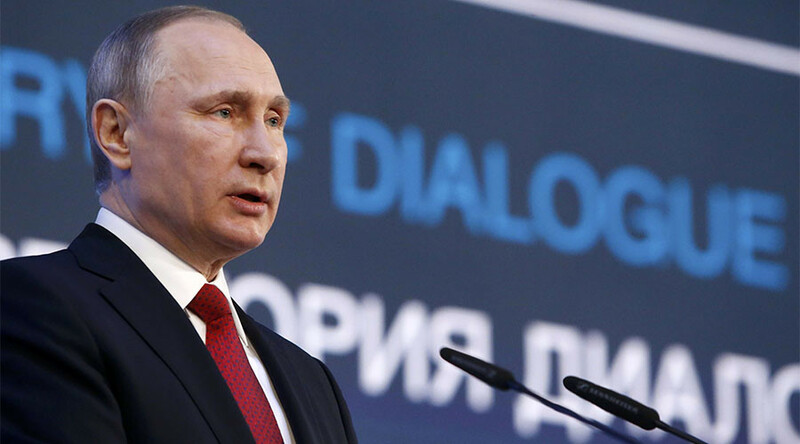 “We persistently stand for fighting corruption,” President Vladimir Putin told reporters on Wednesday at the International Arctic Forum in Russia’s northwestern city of Arkhangelsk. “The problem has become lesser in recent times, public opinion polls testify to that,” he noted. “But I think that it is not right when certain political forces attempt to use this tool for their own promotion, including electoral campaigns, instead of trying to improve the situation in the country,” Putin said. “This tool was used in the Arab Spring events and we know very well what the results of those events were. The same tool was used as an excuse for the coup d’état in Ukraine that has driven that country into chaos,” Putin added. He also told reporters that, in his opinion, those who violate the law must be held responsible within the limits set by it. As for recent calls from Western politicians to release the demonstrators detained during Sunday’s unsanctioned protests, Putin said he considers such rhetoric extremely politicized and also an attempt to influence Russia’s internal political situation. On Sunday, March 26, thousands of people took to the streets across Russia to protest corruption. The rallies were organized by opposition politician Aleksey Navalny, who wants the authorities to react to his latest report, in which he accuses PM Dmitry Medvedev of ‘illegally’ using the assets of several charity funds. Russia’s authorities have dismissed those allegations as Navalny’s own political propaganda. The largest unsanctioned rally took place in Moscow. 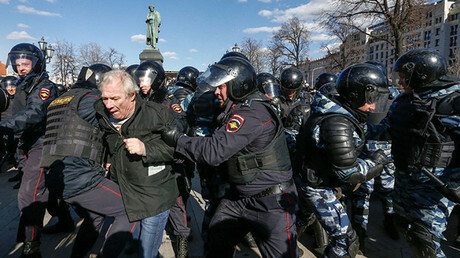 According to police reports, about 500 participants, including Navalny himself, were detained for violating public order and the law on rallies. Dozens of those detained have been sentenced to short terms of administrative arrest. Navalny was sentenced to 15 days in custody for resisting arrest and fined 20,000 rubles (about $355) for deliberately ignoring the law on public marches and rallies.